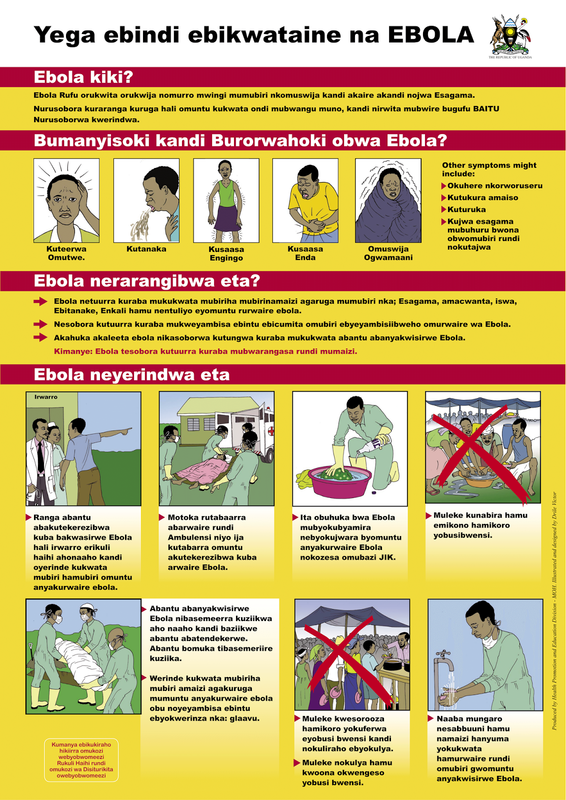 Beyond Niamey: Uganda ebola posters, in which languages? 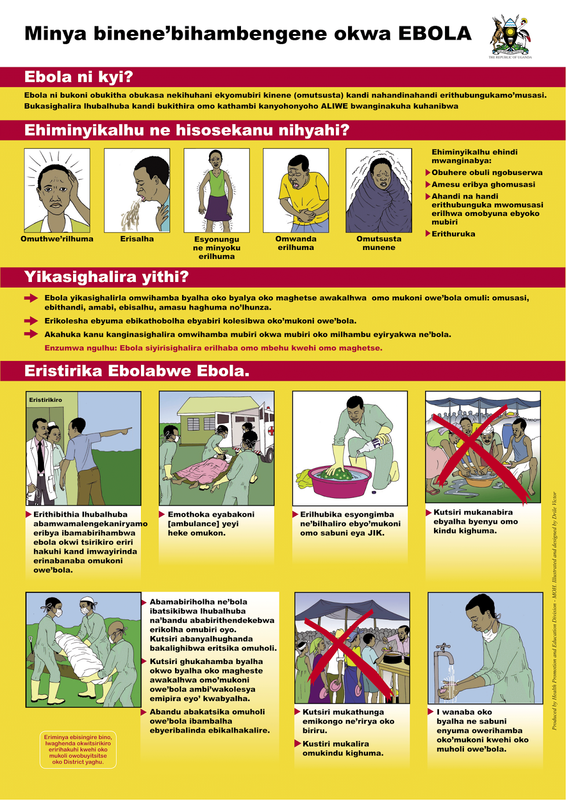 Uganda ebola posters, in which languages? 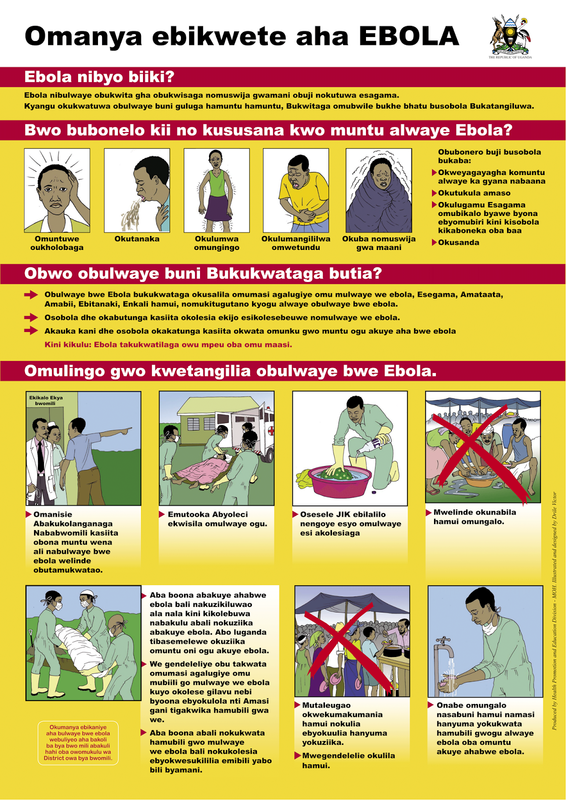 Here are three ebola posters from Uganda - produced by the Health Promotion and Education Division of the Ministry of Health - for which I'm requesting help to identify the languages. Have had no luck with other channels so will post here and hope for input from a wider audience. There was a suggestion on Twitter by @IndigenousTweet that the language of the third one is Olukonzo. Please feel free to add a comment if you can identify the languages of any of the three. Rutooro is one of four closely related languages of southwestern Uganda, for which a common standardized version - Runyakitara - has been developed. It's worth checking whether the poster is actually in Runyakitara. Lusoga is spoken in southern Uganda, to the east of the area where Luganda (to which it is closely related) dominates. Olukonzo is also spoken in southwest Uganda and apparently also across the border in DRC. Keeping African languages out of African schools? Does spelling matter in Bambara ebola materials? Time for a Krio Wikipedia?